1) Pretzels (aka: salt delivery-methods) are one of the greatest snacks out there. Quick disclaimer: I spent a good portion of my life in Philadelphia, the unofficial birthplace of the soft, twisted pretzel. Regardless, I think this argument is pretty solid. Point #2: Mozzarella sticks are ALSO awesome. Point #3: A culinary mash up of mozzarella sticks and pretzels is… wait for it… DOUBLE awesome. Duh. Yes, indeed. 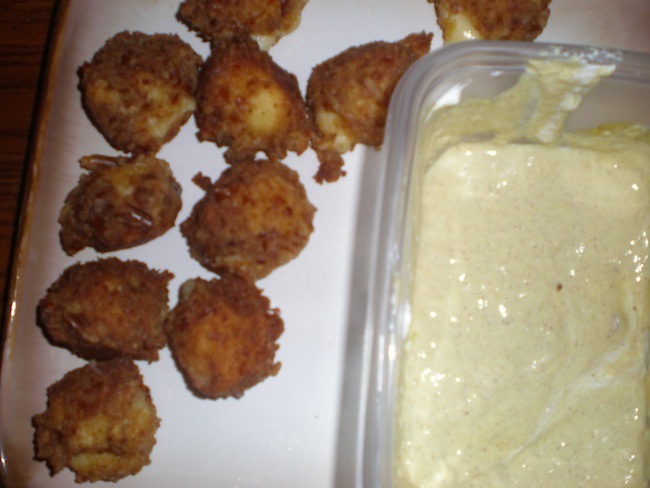 I made this cheesy balls of wonderment for a football party and they were practically gone before I could photograph them. Oh, so yummy. Add all cheeses, plus 2 teaspoons of the flour and 2 Tablespoons of the oil to a food processor and blend until a paste forms. Remove the paste from the processor and, taking about a tablespoon at a time, roll small balls. Transfer balls to a baking sheet and freeze for 15 minutes. Meanwhile, pulse the pretzels in your food processor until they turn into a rough dust. 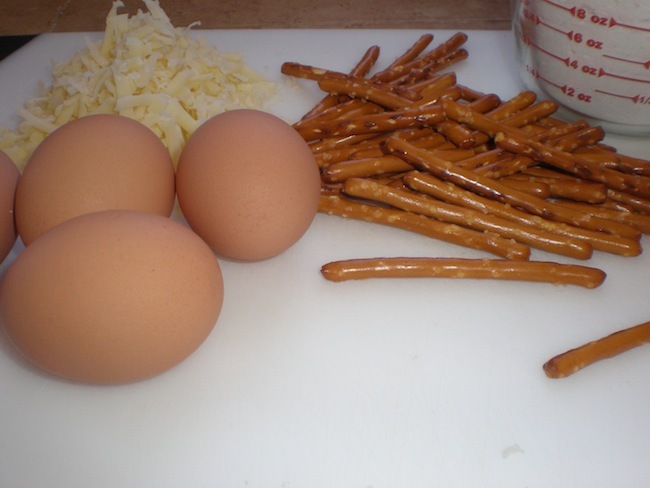 Set up your workstation: Get 3 bowls: fill 1 with a whisked mixture of the eggs and the mustard, the second with the remaining four and ground pepper, and the third with the pretzel dust. 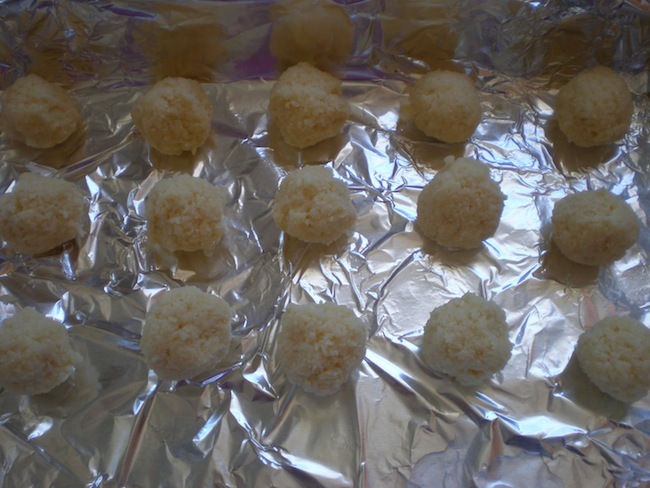 Remove cheese balls from freezer and dip in the following order: egg mixture, then flour, then in egg mixture again, and finally the pretzels dust. 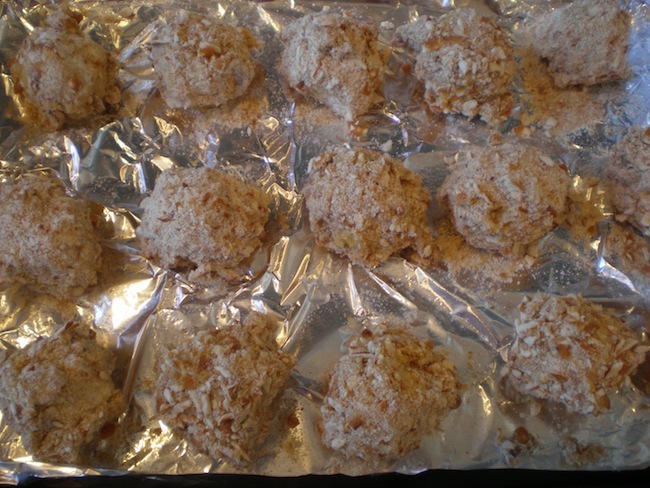 Repeat with all cheese balls and then transfer them back to you baking sheet. Refrigerate 20 minutes to set. Fill a large saucepan or deep skillet with 1” of vegetable oil and heat on high until the oil begins to bubble. If you own something as fancy as a deep-fry thermometer, wait for it to read 360 degrees F.
Lower the cheese balls into the hot oil and fry until golden, which will take 30 seconds — a minute. about 30 to 45 seconds. Remove balls from the oil with slotted spoon and place on cooling rack. Bake the cheese balls for about 5 minutes. To make the sauce, simply whisk together all ingredients. 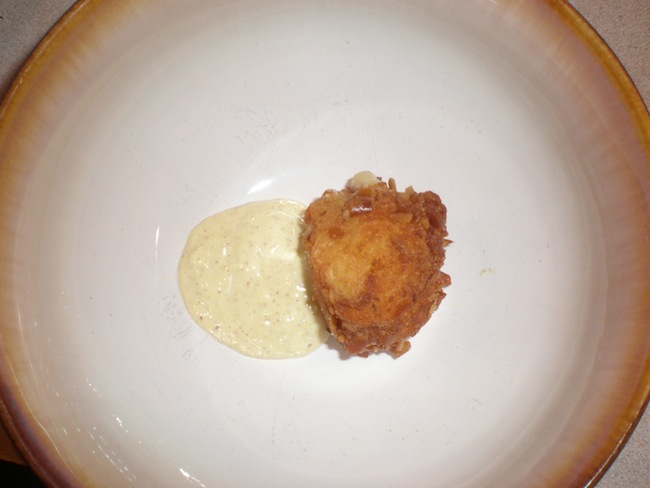 Serve immediately alongside the warm fried mozzarella balls.